Come study with me…come help me change the world. Below is the recruitment announcement for Syracuse’s Ph.D. program. I am looking for good folks to come and work with me. It is increasingly vital that we have information scientists and new faculty in the field. Let me know if you are interested. I’d love to talk. Syracuse University’s School of Information Studies welcomes applicants for our doctoral program. Admitted students are assured of at least four year’s funding (including summers) along with tuition and other support. The interdisciplinary nature of our program is visible through the backgrounds of the 30 current doctoral students. These students hail from ten countries and have academic training in the social sciences, communications, business, computer science, librarianship, linguistics, information science, and others areas. Our doctoral program is a welcoming and inclusive place for scholars from under-represented populations, something we see as a defining element of our program. Doctoral students pursue individualized course plans that are tuned to their particular research interests and needs. 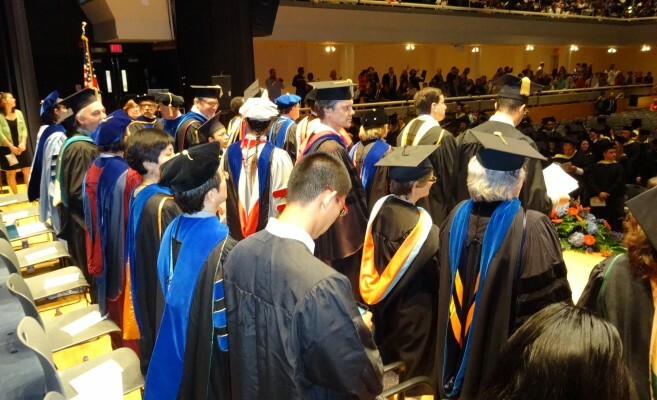 This means advising and, more importantly, close working relationships with faculty members is a cornerstone of the Syracuse University iSchool Ph.D. program. This is why it is both residential and full-time. We celebrate the success of our recent graduates who are taking up tenure-track positions in premier research institutions and exceptional liberal arts colleges, excelling in academic and policy think tanks, and pursuing entrepreneurial success! Current students are earning awards for their publications and dissertation work, continuing a long tradition of such recognition. Please reach out to the faculty member whose interests draw you forward, the program director, Steve Sawyer, at ssawyer@syr.edu , or our program manager, Jennifer Barclay, at istphd@syr.edu with questions!